Both gas and electric hot water boiler systems have their benefits and drawbacks. We have compared both types of hot water boiler systems so you can choose which one best suits your needs. Gas boilers have higher upfront costs than electric ones. However, gas boilers usually are cheaper to operate because the cost of natural gas tends to be lower than electricity. In short, your monthly utility bill generally is cheaper with a gas boiler. 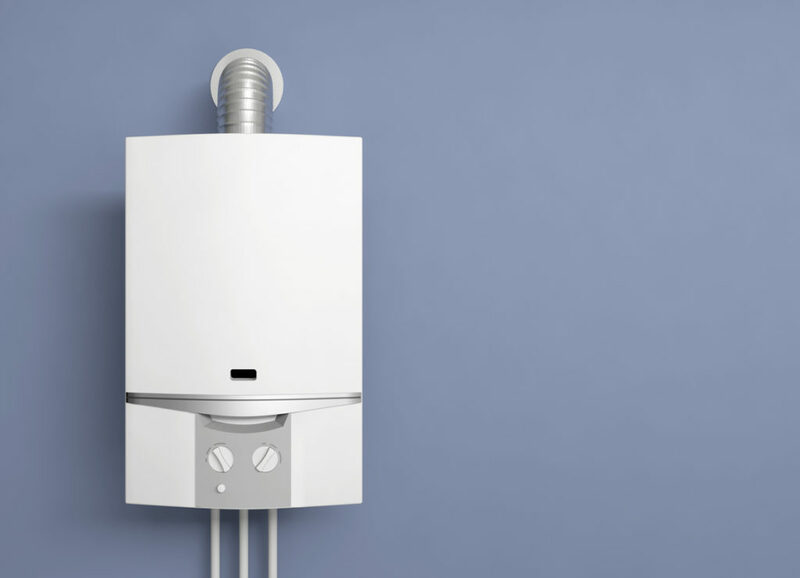 Most gas boilers are connected to a gas line. If your home doesn’t have access to natural gas, an electric boiler would be the more convenient choice. However, not having a gas line doesn’t prevent you from using a gas boiler since you could have propane tanks delivered to run it. Gas boilers heat water more quickly than electric ones. During a power outage, a gas boiler continues to function, but an electric one will be inoperable. A gas boiler produces exhaust that needs to be vented to the outdoors. If your home’s design makes venting outdoors impossible, you need an electric boiler. Having a limited space to place your boiler in used to mean you needed an electric boiler because all tankless boilers were electric. Now that tankless gas boilers are on the market, your choice isn’t determined by the size of your space. In our cold Minnesota climate, hot water is a necessity. If you need to install a new gas or electric water heater, at Dean’s Professional Plumbing, Heating & Air we can help. Call our location nearest you today.